A chess prodigy is a child who can beat experienced adult players, and even Masters, at chess. Expectations can be high for chess prodigies. While some become World Champions, others show little or no progress in adulthood. Park Slope is a neighborhood in northwest Brooklyn, New York City. 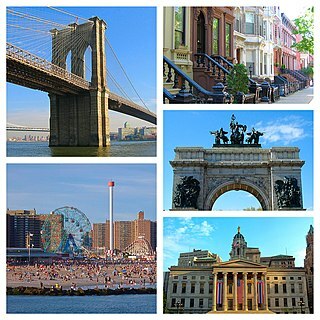 Park Slope is roughly bounded by Prospect Park and Prospect Park West to the east, Fourth Avenue to the west, Flatbush Avenue to the north, and Prospect Expressway to the south. 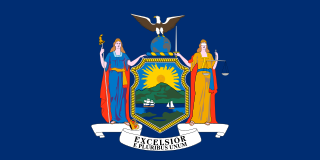 Generally, the section from Flatbush Avenue to Garfield Place is considered the "North Slope", the section from 1st through 9th Streets is considered the "Center Slope", and south of 10th Street, the "South Slope". The neighborhood takes its name from its location on the western slope of neighboring Prospect Park. Fifth Avenue and Seventh Avenue are its primary commercial streets, while its east-west side streets are lined with brownstones and apartment buildings. The FIDE Grand Prix 2014–15 was a series of four chess tournaments that formed part of the qualification cycle for the World Chess Championship 2016. Fabiano Caruana finished first, and Hikaru Nakamura second in the overall standings. Both therefore qualified for the 2016 Candidates Tournament. The Candidates Tournament 2016 was an eight-player double round-robin chess tournament, held in Moscow, Russia, from 11 to 30 March 2016. The winner, Sergey Karjakin, earned the right to challenge the defending world champion, Magnus Carlsen of Norway, in the World Chess Championship 2016. The result was decided in the final round when Karjakin defeated runner-up Fabiano Caruana. Sergey Alexandrovich Karjakin is a Russian chess grandmaster. A chess prodigy, he holds the record for the world's youngest ever grandmaster, having qualified for the title at the age of 12 years and 7 months. Congregation Beth Elohim, also known as the Garfield Temple and the Eighth Avenue Temple, is a Reform Jewish congregation located at 274 Garfield Place and Eighth Avenue, in the Park Slope neighborhood of Brooklyn in New York City, United States. Bruce Pandolfini is an American chess author, teacher, and coach. A USCF national master, he is generally considered to be America's most experienced chess teacher. As a coach and trainer, Pandolfini has possibly conducted more chess sessions than anyone in the world. By the summer of 2015 he had given an estimated 25,000 private and group lessons. Pandolfini's playing career ended in 1970 after a loss to Grandmaster Larry Evans at the National Open in Las Vegas in 1970. After his final tournament game, his official USCF rating was 2241. In February, Caruana—having won Corus C 2008—received and accepted invitation to Corus B 2009 which was of category 16 with average Elo of 2641. Throughout the tournament his standings ranged from first to third place. Going into the last round he was tied for second and his opponent was Nigel Short who was in clear first. The game lasted 67 moves. Caruana won the game and the tournament with a score of +4 (8½/13) and performance of 2751. Caruana is the first player ever to win both Corus C and Corus B in consecutive years placing clear first in both. In April he played in the Russian Team Championship at Sochi with the "Club 64" of Moscow, scoring 5 points out of 6; his team placed second after Tomsk. In May he played with the Italian team in the "Mitropa Cup" at Rogaska Slatina in Slovenia, scoring 6 points out of 8 and winning the individual gold medal on first board. By November Caruana was entered in and played in the Chess World Cup 2009 at Khanty-Mansiysk in Russia. In the first two rounds he beat the Cuban grandmasters Lázaro Bruzón and Leinier Dominguez (Elo 2719), in the third the Russian Evgeny Alekseev (Elo 2715); in round four he lost, only in the rapid games, to Vugar Gashimov (Elo 2759 and seventh in the world). This performance allowed him to reach 2675 points Elo. In July, Caruana won the Young Grandmaster Section of Biel 2010 after a playoff with the others two leaders Maxime Vachier-Lagrave and Nguyen Ngoc Truong Son. In December he won the Italian Championship for the third time with a score of 9 points out of 11 games. In the period from December 2010–January 2011 Caruana played in the 53rd Reggio Emilia Tournament. He placed 6th out of 10 and tied 7 out of his 9 games (only winning, again, against Nigel Short). In January, at the Tata Steel Chess Tournament in Wijk aan Zee, Netherlands, Caruana finished fourth with 6 points out 11 games. In the end of January into early February, at the Zurich Chess Challenge in Zurich, Switzerland, Caruana won the rapid section with 4 point out of 5 games and shared second place with Levon Aronian in combined final results (classical and rapid time controls), behind the winner Magnus Carlsen. In April at Shamkir Chess 2014, a six-player double round-robin tournament held in Shamkir, Azerbaijan, in memory of Vugar Gashimov, Caruana finished second with 5½ points out of 10 games, behind the winner Magnus Carlsen. In June at Norway Chess 2014, a ten-player tournament, Caruana finished fourth with 4½ points out of 9 games. In June at the FIDE World Rapid Championship held in Dubai, Caruana finished second with 10½ points out of 15 games, after tiebreaks with Viswanathan Anand, Levon Aronian and Alexander Morozevich, half point behind the winner Magnus Carlsen. With this result Caruana in July topped the FIDE rapid ranking with 2858 points. In FIDE World Blitz Championship, also held in Dubai, Caruana finished in the middle of the group, confirming some difficulties with short time control. In July, Caruana won with 5½ points out of 7 games the Dortmund Sparkassen Chess Meeting, breaking for the first time the 2800 Elo points bar. By August Caruana was playing on the first board for Italy at the 41st Chess Olympiad in Tromsø, Norway, finishing with 6½ points out of 9 games. In the period from August–September, Caruana won with 8½ points out of 10 games the Sinquefield Cup in Saint Louis, Missouri, one of the strongest tournaments ever held, featuring six of the world's top ten players, including the world champion Magnus Carlsen. With 7 consecutive wins from the start, 3 draws and 0 losses, Caruana achieved a performance rating of over 3080, possibly the best tournament result in history,  beating out Magnus Carlsen in the 2009 Nanjing Pearl Spring tournament and Anatoly Karpov in the 1994 Linares chess tournament. In October he won along with Boris Gelfand the Baku stage of the FIDE Grand Prix 2014–15, a twelve-player round-robin, with 6½ points out of 11 games. The loss at round 7 against Dmitry Andreikin ended a streak of 22 points out of 27 games and no losses started in August. In the period of late October through early November, Caruana shared the fourth place with 6 points out of 11 games at the Tashkent leg of the FIDE Grand Prix. The winter winds of December saw him at the 6th London Chess Classic, a six-player round-robin, he shared the last place with 4 draws and 1 loss in 5 games. In January, Caruana played in the 2015 Tata Steel Chess Tournament, a 14 players round-robin, where he finished seventh, with 7 points out 13 games, behind the winner Magnus Carlsen. In February he was at the 2015 Grenke Chess Classic in Baden-Baden, an 8-player round-robin. He shared third and fourth positions, with 4 points out 7 games, behind the winner Magnus Carlsen. In February at 2015 Zurich Chess Challenge, a 6 players tournament, Caruana shared second place in Blitz Section with 3½ points out 5 games, shared the last place with 2 points out of 5 games in Classical Section, finished last with 1½ points out 5 games in Rapid Section and finished fifth in Combined Final Results (Classical & Rapid TC) behind the winner Hikaru Nakamura. In April at the Shamkir Chess 2015, a 10 players tournament, Caruana finished fourth with 5 points out of 9 games behind the winner Magnus Carlsen. In May, Caruana won along with Hikaru Nakamura and Dmitry Jakovenko the FIDE Grand Prix Khanty-Mansiysk 2015, a 12-player round-robin, with 6½ points out of 11 games. With this result Caruana won the FIDE Grand Prix 2014–15 and qualified for the 2016 Candidates Tournament. In June he played in the Norway Chess 2015, a 10-player tournament, where he finished fifth with 4 points out of 9 games behind the winner Veselin Topalov. In June–July: Caruana won the Dortmund Sparkassen Chess Meeting, an 8 player single-round robin tournament, with 5½ points out of 7 possible points, ending the tournament with a 5-game win-streak. In August–September he finished 8th at the 2015 Sinquefield Cup with 3½ out of 9 possible points. In September, at the Chess World Cup 2015, a 128-player single-elimination tournament, Caruana was eliminated in the fourth round by Shakhriyar Mamedyarov. In December, Caruana competed in the final leg of the Grand Chess Tour, the London Chess Classic. He achieved the arguably boring result of 9 draws out of 9 games (+0-0=9). In January, at the 2016 Tata Steel Chess Tournament, Caruana shared second (along with Ding Liren) with a score of 8 points out of 13 (+5-2=6), defeating Michael Adams, Wei Yi, Loek Van Wely, Pavel Eljanov, and Ding Liren, and losing to David Navara and Evgeny Tomashevsky. Had he defeated Tomashevsky, he would have at least tied for 1st place with Magnus Carlsen. Through this tournament, he gained 7 rating points and moved to #3 in the world. By March, as part of the qualification cycle for the World Chess Championship 2016, Caruana participated in the Candidates Tournament 2016, held in Moscow, Russia, from March 10–30 in the Central Telegraph (Центральный телеграф) Building. The lineup of the tournament included Viswanathan Anand, Hikaru Nakamura, Sergey Karjakin, Peter Svidler, Veselin Topalov, Anish Giri, and Levon Aronian. In the final round Caruana had Black against Sergey Karjakin in a winner-takes-all game. A complex position developed in which he made a mistake and was eventually defeated, making Karjakin the official challenger. Caruana eventually finished with a +1 score. On April 25, Caruana became US Chess Champion for the first time, after defeating IM Akshat Chandra in the last round of the US Chess Championship. He finished the tournament with 8.5 points out of 11 games, and went undefeated. The field consisted of world top ten players Hikaru Nakamura and Wesley So; top 100 players Ray Robson, Sam Shankland, Gata Kamsky and Alexander Onischuk; GMs Alexander Shabalov, Varuzhan Akobian, Jeffery Xiong and Aleksandr Lenderman; and IM Akshat Chandra. In September he played first board of the US Team at the 42nd Chess Olympiad. The US team won gold medal while Caruana won the bronze medal for first board. Vladimir Borisovich Kramnik is a Russian chess grandmaster. He was the Classical World Chess Champion from 2000 to 2006, and the undisputed World Chess Champion from 2006 to 2007. He has won three team gold medals and three individual medals at Chess Olympiads. Luke James McShane is an English chess player. A former World Youth Champion and chess prodigy, he has become one of England's leading players and a member of the Olympiad team. He has also been a trader in London's financial sector. Viswanathan "Vishy" Anand is an Indian chess grandmaster and a former World Chess Champion. Sven Magnus Øen Carlsen is a Norwegian chess grandmaster and the current World Chess Champion. He is a two-time World Rapid Chess Champion and four-time World Blitz Chess Champion. His peak classical rating of 2882, achieved in 2014, is the highest in history. Carlsen first reached the top of the FIDE world rankings in 2010, and trails only Garry Kasparov at time spent as world number one. Teimour Radjabov is an Azerbaijani chess grandmaster. As of February 2019, he is ranked as No. 2 in Azerbaijan and No. 13 in the world rankings. Hikaru Nakamura is a Japanese-American chess grandmaster. 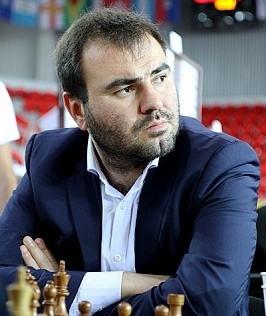 Shakhriyar Hamid oglu Mammadyarov also spelled as "Mamedyarov" is an Azerbaijani chess grandmaster. He is ranked as No. 1 in Azerbaijan and No. 3 in the world as of September 2018. His personal best rating of 2820 makes him the sixth-highest-rated player of all time in chess history. Maxime Vachier-Lagrave is a French chess grandmaster. He was World Junior Champion in 2009 and is a three-time French Champion. He is the No. 1 ranked French player as of November 2018. His peak Elo rating of 2819 makes him the seventh-highest rated player of all time. Dmitry Olegovich Jakovenko is a Russian chess grandmaster. He was a member of the gold medal-winning Russian team at the 2009 World Team Chess Championship and at the European Team Chess Championships of 2007 and 2015. Wesley Barbasa So is a Filipino-American chess grandmaster. He is a three-time Filipino Chess Champion and was U.S. Chess Champion in 2017. On the March 2017 FIDE rating list, he was ranked number two in the world and had an Elo rating of 2822, making him the fifth-highest rated player in history. Leinier Domínguez Pérez is a Cuban-American chess grandmaster who represents the United States. He competed in the FIDE World Chess Championship in 2002 and 2004, and the FIDE World Cup in 2007, 2009, 2011, 2013 and 2015. Domínguez Pérez was world champion in blitz chess in 2008. The Bilbao Chess Masters Final is an annual chess tournament which between 2008-12 brought together the strongest players from the previous year's "Grand Slam" events. Series organisers Grand Slam Chess Association (GSCA) became defunct in 2012 due to the demise of the Grand Slam hosts and scheduling problems but the Bilbao Masters has continued as an annual invitational event. The Candidates Tournament 2018 was an eight-player double round-robin chess tournament, which was held in Berlin, Germany, between 10–28 March 2018. 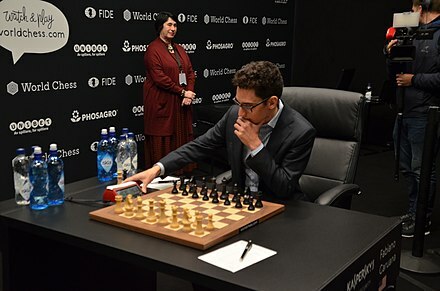 The winner, Fabiano Caruana, earned the right to challenge the defending world champion, Magnus Carlsen of Norway, in the World Chess Championship 2018 match. ↑ "Fabulous Fabiano". chessbase.com. May 19, 2003. Retrieved 2013-06-26. ↑ Chad, Norman (July 12, 2015). "Fabiano Caruana and Magnus Carlsen — that's a title clash worth watching". The Washington Post. 1 2 3 "Who was the future GM? Fabiano Caruana, Italy's top grandmaster!". chessbase.com. 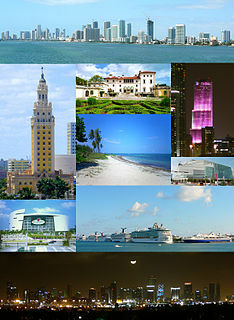 October 18, 2007. Retrieved 2013-05-30. 1 2 3 "Fabiano Caruana: "A lot of hard work..."". whychess.com. August 25, 2012. Retrieved 2013-06-01. ↑ "Interview with GM Chuchelov - Caruana's Coach". chessbase.com. September 7, 2014. Retrieved 2014-10-19. ↑ "St. Louis' Fabiano Caruana". kmox.com. April 18, 2018. Retrieved 2018-05-14. ↑ "Fabiano Caruana – youngest US and Italian GM in history". chessbase.com. July 20, 2007. Retrieved 2009-04-01. ↑ "Italian Championship 2007 Final Standings". Italian Chess Federation (in Italian). December 4, 2007. Retrieved 2009-03-01. ↑ "Fabiano convincingly wins Corus C". Susan Polgar Chess Daily News and Information. January 27, 2008. Retrieved 2012-11-04. ↑ "27th Chess Mitropa Cup: Olbia 2008". olimpbase.org. June 3, 2008. Retrieved 2009-03-03. ↑ "Olympiad Dresden 2008 Open". chess-results.com. November 29, 2008. Retrieved 2009-03-03. ↑ "Italian Championship 2008 Final Standings". Italian Chess Federation (in Italian). December 14, 2007. Retrieved 2009-03-01. ↑ "Standings Grandmaster Group B". Corus Chess. November 1, 2009. Retrieved 2009-03-01. ↑ "Fabiano Caruana wins Biel 2010". chessbase.com. July 30, 2010. Retrieved 2010-07-30. ↑ "Standings Grandmaster Group A". Tata Steel Chess Tournament. January 29, 2012. Retrieved 2012-01-29. ↑ "Fabiano Caruana lifts the trophy at Sigeman & Co Chess Tournament". Chessdom.com. May 16, 2012. Retrieved 2016-03-22. ↑ "Exciting finish in the Tal Memorial – Magnus Carlsen lifts the trophy". Chessdom.com. June 18, 2012. Retrieved 2012-07-22. 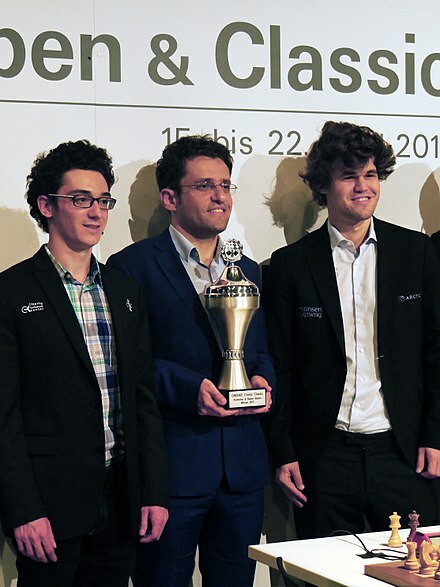 ↑ "Fabiano Caruana takes the trophy in Dortmund". Chessdom.com. July 22, 2012. Retrieved 2012-07-22. ↑ "Bilbao Rd10: Carlsen takes title in blitz tiebreak". ChessBase.com. October 13, 2012. Retrieved 2012-10-13. ↑ Crowther, Mark. "6th Kings Tournament in Bucharest 2012". The Week in Chess. Retrieved 2016-03-22. ↑ "Zurich R6: Caruana wins by a full point". chessbase.com. March 4, 2014. Archived from the original on March 13, 2014. Retrieved 2013-10-19. ↑ "Zug GP R11: Topalov wins game, set and event". chessbase.com. April 30, 2013. Retrieved 2014-10-19. ↑ "Thessaloniki Final: Caruana stops Kamsky, Dominguez wins the tournament". chessbase.com. June 3, 2013. Retrieved 2014-10-19. ↑ "Tal Final: Gelfand wins, Carlsen clear second". chessbase.com. June 23, 2013. Retrieved 2014-10-19. ↑ "Paris Final: Disappointing Finish". chessbase.com. October 4, 2013. Retrieved 2014-10-19. ↑ "Bucharest Final: Caruana secures victory". chessbase.com. October 17, 2013. Retrieved 2014-10-19. ↑ "Caruana wins Rapid, Carlsen tops Zurich". chessbase.com. February 4, 2014. Retrieved 2014-10-19. ↑ "World Rapid: Miraculous Carlsen". June 18, 2014. Retrieved 2014-10-19. ↑ "Dortmund: Fabiano Caruana is now 2801". chessbase.com. July 20, 2014. Retrieved 2014-10-19. ↑ "Caruana's Spectacular Chess Leap". The Huffington Post. September 10, 2014. Retrieved 2014-09-10. 1 2 3 "Grandmaster Clash". slate.com. September 18, 2014. Retrieved 2014-09-18. ↑ "Gelfand and Caruana share first place in Baku Grand Prix". fide.com. October 16, 2014. Retrieved 2014-10-16. ↑ "Baku 07: He is human!". chessbase.com. October 10, 2014. Retrieved 2014-10-16. ↑ "FIDE Grand Prix in Khanty-Mansiysk: Final". fide.com. May 26, 2015. Retrieved 2015-05-26. ↑ "Sergey Karjakin is the new challenger". Chessbase. March 28, 2016. Retrieved March 29, 2016. ↑ "www.uschesschamps.com | The home of championship chess in America". uschesschamps.com. Retrieved 2016-04-25. ↑ "Hou Yifan resigns after five moves in protest over her Gibraltar pairings". The Guardian. Retrieved 27 April 2018. ↑ "US Championship 11: Foisor triumphs, So gambles". Chess24. Retrieved 27 April 2018. ↑ "7 conclusions from the GRENKE Chess Classic". Chess24. Retrieved 27 April 2018. ↑ "Levon Aronian wins Norway Chess 2017!". Chessbase. Retrieved 27 April 2018. ↑ Doggers, Peter. "World Cup Shock: Carlsen, Kramnik, Nakamura Out". Chess.com. Chess.com. Retrieved 22 June 2018. ↑ "Kramnik to play 2018 Candidates". ChessBase. 30 October 2017. Retrieved 22 June 2018. ↑ "Standings - Tata Steel Masters 2018 - Tata Steel Chess". www.tatasteelchess.com. Retrieved 2018-02-13. ↑ "FIDE World Chess". www.worldchess.com. Retrieved 2018-03-27. ↑ "An American Will Play For The World Chess Championship". fivethirtyeight.com. March 27, 2018. Retrieved 2018-03-27. ↑ Staff writer(s) (9 April 2018). "GRENKE Chess Classic 2018: Pairings & standings". Grenke Chess. ↑ Sam Shankland is the 2018 US Champion! ↑ Doggers, Peter (7 June 2018). "Caruana Wins Norway Chess". Chess.com. ↑ Saravanan, Venkatachalam (28 August 2018). "Sinquefield Cup: Three winners (one playoff)!". ChessBase. ↑ "Magnus Carlsen Beats Fabiano Caruana to Win World Chess Championship" . Retrieved 2018-11-28. ↑ "Fabiano Caruana vs. Emanuel Berg, Dresden Olympiads 2008". Chessgames.com . ↑ "Fabiano Caruana vs. Francisco Vallejo Pons, Pamplona 2008". Chessgames.com . ↑ "Artur Yusupov vs. Fabiano Caruana, NH Chess tournament 2008". Chessgames.com . ↑ "Michael Adams vs. Fabiano Caruana, Dresden Olympiads 2008". Chessgames.com . ↑ "Sergey Karjakin vs. Fabiano Caruana, São Paulo / Bilbao Grand Slam Final 2012". Chessgames.com . ↑ "Fabiano Caruana vs. Levon Aronian, St. Louis, Missouri / Sinquefield Cup 2014". Chessgames.com . ↑ "Vladimir Kramnik vs. Fabiano Caruana, Berlin, Germany / World Championship Candidates 2018". Chessgames.com . 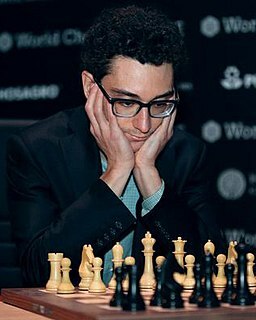 Wikimedia Commons has media related to Fabiano Caruana . "Fabulous Fabiano", by Macauley Peterson, Chess Life , January 2008, pp. 30–35.